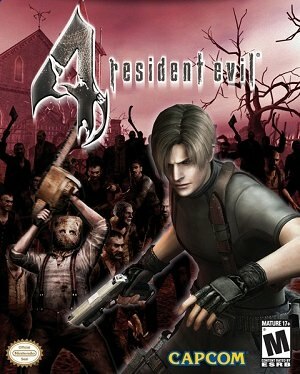 Home > Capcom Co., Ltd.
Found 2 file extension associations related to Resident Evil 4 and 2 file formats developed specifically for use with Resident Evil 4. The best game of 2005 comes to PlayStation 2 with exclusive new horror and new content added. Are you ready to take on the all-new terrifying reinvention of the award-winning Resident Evil series? It has been six years since the outbreak of the deadly T-virus and the U.S. government has destroyed the evil Umbrella Corporation, the company behind the horrific events. Forward to 2004 and Leon S Kennedy, Raccoon City’s rookie cop from Resident Evil 2, is now a U.S. agent with a top-secret mission. He has been tasked to look into the abduction of the President’s daughter and his investigation has led him to a mysterious location in the dark heart of central Europe. Encountering unimaginable horrors, Leon must find out who - or what - is behind this new nightmare. If you need more information please contact the developers of Resident Evil 4 (Capcom Co., Ltd.), or check out their product website.